Seeds are where it all starts! 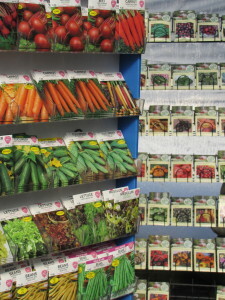 We carry Hart’s Seeds and seeds from the Seed Savers Exchange. 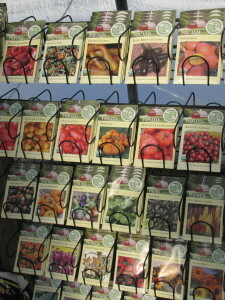 Generally you want to start your seeds 6 weeks before the last frost. Indoor starters that transplant well: Basil, kale, cauliflower, leeks, onions, broccoli, eggplant, lettuce, cabbage, tomatoes and peppers. Windowsill Plants: herbs and micro-greens are typically happy year-round in your windowsill. For the best results have them in a south-facing window. Many people have started growing windowsill herbs & greens as a fun hobby and another way to get fresh food. Ever wonder about Genetically Modified Organisms vs Genetically Engineered? Check out this article from Hart’s to help explain the difference and why this topic is so important!